Originally posted in Illuminate – June 2016. A special thank you to the workshop facilitators and organizers: Nicole Schutz, Laurel Nikolai, Jeremy Albert, Holly Yuzicapi and Dr. Kathy Robinson. All photos by k.barnes. A two-part professional development workshop focused on integrating First Nations, Métis and Inuit music and culture into elementary music education had a successful launch at the University of Alberta’s Faculty of Education this June and is expected to return to campus in the fall 2016 term. At the recent workshop, current Education graduate student Nicole Schutz and alumna Laurel Nikolai (MEd ‘09) showed more than 20 local music teachers and 10 current students in the elementary education program different ways to weave Indigenous music and culture into their kindergarten to Grade 6 classrooms by making flutes and teaching them how to play songs. The hands-on workshop encouraged participants to decorate and play their flutes, much like they would with their students. Schutz, who is Métis herself, said that making the workshop as interactive as possible was a deliberate choice. Both Schutz and Nikolai’s personal experiences teaching music in schools with large First Nations, Métis and Inuit populations provided a frame of reference when designing the workshop. It also illustrated the need to educate teachers on how to integrate First Nations, Métis and Inuit content and perspectives into the curriculum. “As music teachers and elementary teachers, we learn through doing it and experiencing the songs and dance. We really want to connect to this through stories and [enable students to] have their own stories of making the instruments that they are putting love and time into, then pass these stories on,” said Nikolai. “It is our job as educators to do as much as we can, share as much as we can, find accessible resources and people who can pass teachings and experience onto us so we can be comfortably educated to share this with our students,” she adds. Workshop participants point to the Truth and Reconciliation Commission of Canada’sfinal report, released last year, as well as the provincial government’s promise to focus more on including Indigenous culture and history into Alberta’s curriculum as two reasons—among many—why professional development like this is needed. “With the release of the 94 Calls to Action from the Truth and Reconciliation Commission, this workshop is a response to some of those calls by learning more about Indigenous ways of knowing and being which will translate to their students,” explained event collaborator Jeremy Albert, who is a First Nations, Métis and Inuit consultant with Edmonton Public Schools (EPSB). 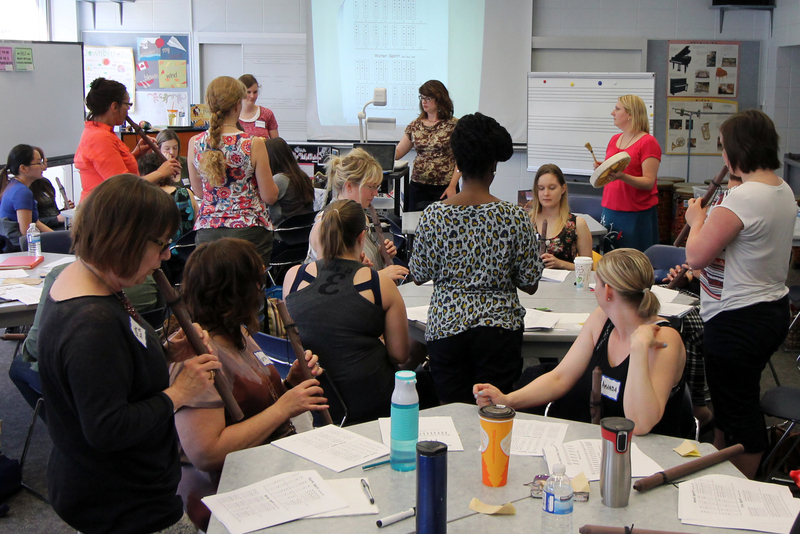 As well as receiving a lesson in making, painting and playing Indigenous flutes, workshop participants also received a walk-through of an Edukit for music teachers, developed by EPSB. The kit consists of detailed lesson plans including songs, dances, picture books, poems, and stories that can be used throughout the school year. “We’re crying out for materials and understanding to bring this music to our students,” said Kathy Robinson, associate professor of elementary education and workshop facilitator. All of the workshop facilitators expressed a desire for the workshop’s positive impact to spread to classrooms across Edmonton. 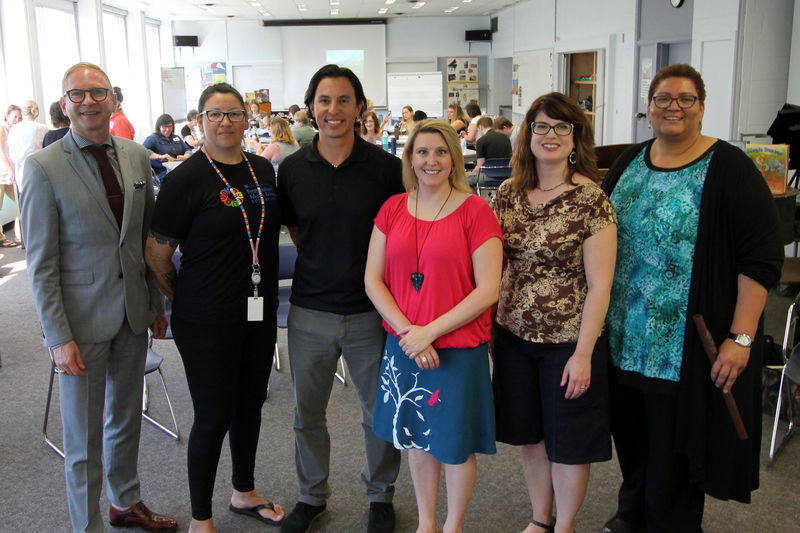 Event collaborator and EPSB First Nations, Métis and Inuit consultant Holly Yuzicapi explained that learning about First Nations, Métis and Inuit art and culture could teach students another way to express themselves. “Every culture has forms of expression—art, music, singing, dance—it’s really people having the ability to share feelings and stories,” said Yuzicapi. The EPSB Edukit will be available for loan at the H.T. Coutts Education Library. Part two of the workshop, to be led by Elder Francis Whiskeyjack, is expected to take place at UAlberta in the fall term and will focus on drumming and drum-making. To learn more about the course, contact Laurel Nikolai or Nicole Schutz. For my final story in Advanced Online, I was very lucky– I got to host Humber News Express. HNE is a more casual and quick dose of the top headlines of the day. I was responsible for choosing the stories, writing them, lining them up, hosting, and cutting the video. I did have help from my friend, Justin Vasko, who was a fantastic videographer and human teleprompter. Pro tip: make sure your human teleprompter holds your sheets of paper *just below* the camera lens. Or make sure you have a real teleprompter. Either way, I’m still pretty happy with how it turned out, -17 C and all. 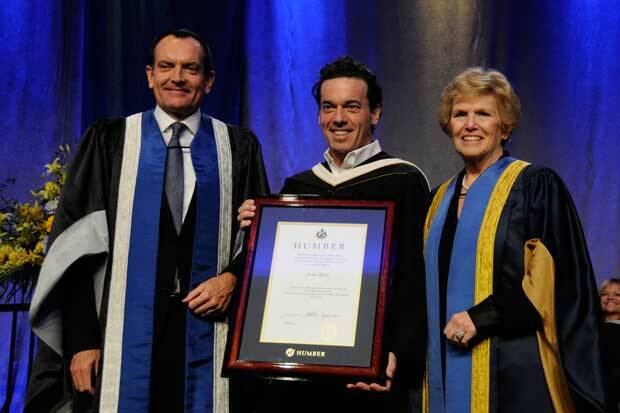 I recently had the opportunity to talk to author Joseph Boyden when he received his honorary degree from Humber College, and he was shared some words of wisdom with me before his convocation speech and talked about Idle No More. To read my Humber News Online article, click here.